Several years ago, the film world was shocked at the feat Marvel was able to pull off when they brought together four franchises for the first Avengers. Now, here we sit four years later, and Marvel shocks the world again as they bring together seven franchises and twelve films for their latest installment in the Marvel Cinematic Universe, Captain America: Civil War. However, a more suitable name for the film might have been Avengers 2.5. Nevertheless, even after I again foolishly built up my anticipation for the film, I was pleased with Marvel’s most ambitious project to date. After the stupendous failure of Batman V Superman two months ago I feared that Civil War may fall into the same trap of having too large of a story to tell in a traditional cinematic format. I mean let’s be honest here, even though Marvel has shown over the course of the last eight years that it can deliver well put together films, attempting to create a cohesive story with nearly a dozen franchise leading characters while introducing two new characters to the mix is ambitious. Yet, at the end of the day, Marvel, is able to present a spectacular story that builds off of each character appropriately due to the well-established framework of their cinematic universe. With that being said, the film is far from being free of errors but that does not stop it from being an immensely fun, summer film. While I hate to keep bringing up Batman V Superman, interesting points can be made about storytelling by drawing parallels between Batman V Superman and Civil War. In essence both films have a very similar premise in the sense that two of the larger ideological forces within their respective universes are at odds with one another, which begs the question, as to which would win in a fight. Ultimately, while each side in each film could make strong arguments for their dominance, there is no contest as to who made the stronger film and why. While Batman V. Superman went into the battle with the upper hand since their project was so much easier considering they only had to introduce one new character and deal with a one versus one battle, while Marvel was bringing in two characters and showcasing a team battle. Yet, the real reason as to why Civil War was able to be successful even with how big of a project it was, is because the studio did not rush the progression of its universe. At this point, I feel as if I have said it enough, but it is nearly impossible to have a good film if one does not have a developed story or set of characters. Unfortunately, the executives over at Warner Brothers must not read much Celluloid Cinema, as the characters in Batman V. Superman were completely muddled and not well developed at all mostly due in large part because the characters did not have time to fully be explored in other films like Marvel’s characters. 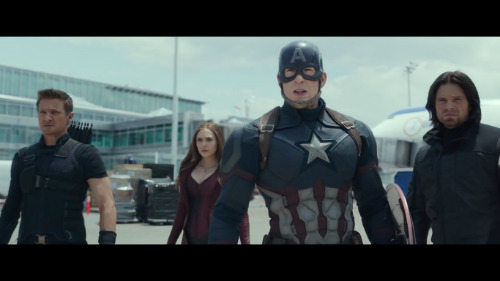 By the time Civil War starts, the audience has spent nearly thirty hours in the Marvel Cinematic Universe, which means that many of the films main characters are very well known to the audience, and as a result, a lot of character exposition can be omitted from the film’s runtime and instead can be spent on exploring the story since the audience understands where each character stands. Once this is taken into account, the task that Marvel sets out to do, becomes much more manageable because all the film really becomes is a scenario where all of the audiences favorite characters can openly interact with one another. What Civil War really is, is the perfect film for fans of Marvel. Everything that the universe has been exploring for the past eight years, with the exception of some characters, finally comes into play in this film. As a result, nearly every scene in the film involves some sort of cross over between characters that either makes the audience giddy as their “what-if” questions are answered, or laugh as the styles of each character play off one another. In this regard Marvel clearly shows the audience why they are the masters at creating a true cinematic universe. The culmination of these character crossovers results in the ultimate comic book fan dream, as a dozen of Marvel’s flag ship characters from across their entire studio battle one another in an all out brawl near the climax of the film. In most cases, I would describe a moment like this as pulling the audience into the film and making them forget that they are watching a film but that is not necessarily the feeling that is achieved. Instead, the audience is just given the ultimate eye candy that they yearn for when they visit the theater. In essence, the best way to describe this scene would be by simply calling it cinematic. All in all, considering how immense of a project Civil War was, Marvel was able to not only deliver an acceptable film but a pretty great one. The only real issue that I had with the film is that it did not have the so called X-factor that I believe is the root that really propels most Marvel films. From what I have been able to come up with, I think that the part the film is missing is the witty banter that exists with nearly every character in Marvel. While this banter is not only more than prevalent, but excellent during the fight scenes, I felt that the normal conversations throughout the film were very dry and just had me waiting for the next action sequence, which has not been the case for me beforehand during a Marvel film. Although, I do not believe that this issue utterly ruins the film as the action sequences are smartly directed and create very entertaining and memorable moments that will make one want to revisit the theater again. As a result, Captain America: Civil War not only provides the perfect fan service to the audience but also teaches us why it is important to develop characters across all of your franchises so if you choose to make a huge film it can be done easily. With all of this put into consideration Captain America: Civil War is the most 3.5 Reel film that I have reviewed to date but due to the sheer scope of the previous films that had to go properly for the film to work, Civil War receives 4 out of 5 Reels from Celluloid Cinema. Thank you for visiting Celluloid Cinema. Please leave your thoughts in the poll and comments below. How many Reels do you give Captain America: Civil War?